Welcome to another edition of Mythbusting! A while back, we tackled the myth of DC being home to a transient population, and found out that the District doesn’t really deserve its reputation for no one being from here. But this month, as I’m moving out of the home that I own and into a larger house that I will rent, it got me thinking: does DC have more renters than the average American city? Can people just not afford the high property values here? And which neighborhoods have the most renters? Luckily I know my way around Census data, and was able to find the answers to all these questions. The District certainly has more rental housing than owner-occupied housing– 55% of homes are rented, with 45% owned, according to 2006-2008 ACS estimates. That’s a whole lot more renters than the national average of 33% rentals. But comparing DC to a national average isn’t too accurate, since DC is a lot more urban and compact than the country as a whole. When we look at some comparable cities, DC is right on track: Boston has 62% renters, San Francisco has 61% renters, Baltimore has 49% renters, and Portland has 42% renters. So DC is right in the middle of comparable cities. Now, a little about owning versus renting. Owner-occupied housing is generally considered more desirable than renter-occupied housing because it’s home to people with a long-term investment in the community, and with the means to purchase a home. But in many cities like DC, renting is the norm– with extraordinarily high property values, many people can’t come up with the down payment on a home. But the price structure in the city (one-bedroom units are sometimes just as expensive as two-bedroom units to rent in many neighborhoods) sometimes makes it more feasible to buy than rent. Wondering if you should buy or rent? Try this great calculator. The map above shows how the various neighborhoods of the city compare. There’s no surprise that the zip code with the highest percentage of renters is in the West End/Foggy Bottom zip code of 20006. Over 94% of housing units in that area are renter occupied, many by the uber-transient GWU student population. My zip code of 20005 (Logan Circle) comes in second, with 82% of housing units renter occupied. On the other hand, the area with the least percentage of renters is Chevy Chase (20015), with only 27% of housing units occupied by renters. So what’s different about the renter-dominated areas? Typically the housing stock is skewed towards apartments and condos, rather than single-family housing, in these areas. They’re also (generally) closer to Metro stations, closer to universities, and closer to downtown– three things that younger, more transient people (read: those more likely to rent than buy) like. The folks over at Urban Turf are examining the trade-offs of renting versus buying in various DC neighborhoods. Their first feature on Glover Park comes to the conclusion that it makes more financial sense to buy than to rent in that area if you’re looking at anything bigger than a one-bedroom place. This is an interesting trend to look into– when I moved to Logan Circle, it made more financial sense for me to buy a one-bedroom condo instead of renting, but now that I’m moving to a two-bedroom place in Adams Morgan, renting makes more sense. It’ll be interesting to see how different DC neighborhoods compare. So not so much a myth to bust, but an interesting factoid nonetheless. There are lots of renters in DC, mostly near downtown, and the financial trade-offs between owning and renting vary by neighborhood. What do you think about your neighborhood– does it make more sense to rent or own a place? I’d love to see the Arlington data on a map like that. Can’t wait to see the new data on this from the 2010 Census. Keep an eye out for the 2010 Census form, it should arrive at your home in March. Yes – Amen to Katie’s comment. I would love to see the Arlington data map too! 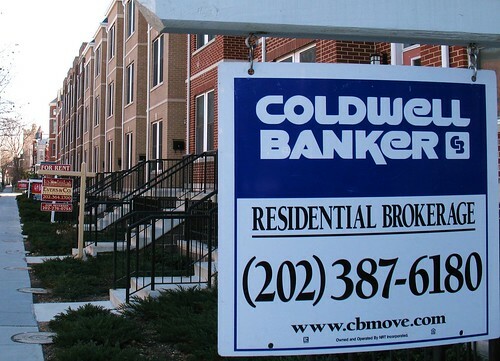 I would love to buy in the District… Of course the 1-BR condo I rent goes for $433,000.